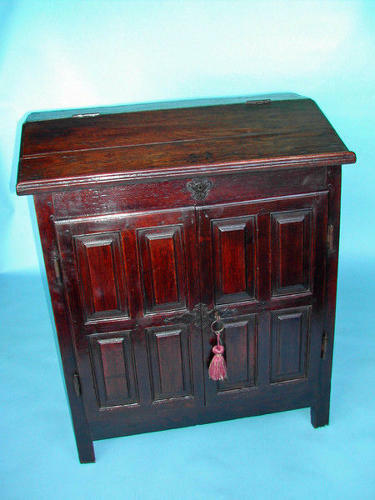 17thc Desk on Cupboard . English. C1680-90. A rare piece of furniture from the 17thc, it is the first time I have seen an Oak Desk on Cupboard in original condition throughout....superb colour and just the right size for working at with your laptop....17th century meets 21st century..!